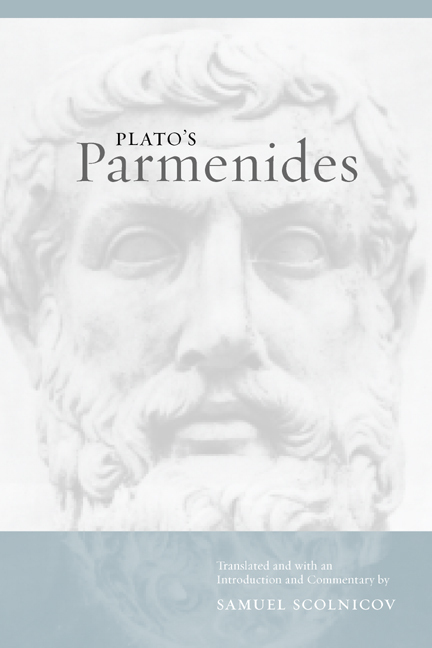 Of all Plato’s dialogues, the Parmenides is notoriously the most difficult to interpret. Scholars of all periods have disagreed about its aims and subject matter. The interpretations have ranged from reading the dialogue as an introduction to the whole of Platonic metaphysics to seeing it as a collection of sophisticated tricks, or even as an elaborate joke. This work presents an illuminating new translation of the dialogue together with an extensive introduction and running commentary, giving a unified explanation of the Parmenides and integrating it firmly within the context of Plato's metaphysics and methodology. Scolnicov shows that in the Parmenides Plato addresses the most serious challenge to his own philosophy: the monism of Parmenides and the Eleatics. In addition to providing a serious rebuttal to Parmenides, Plato here re-formulates his own theory of forms and participation, arguments that are central to the whole of Platonic thought, and provides these concepts with a rigorous logical and philosophical foundation. 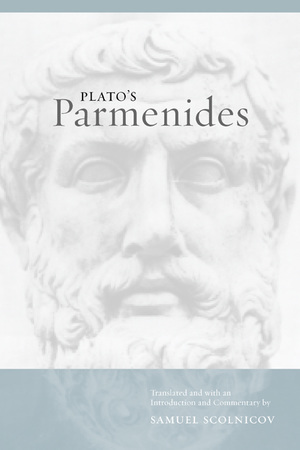 In Scolnicov's analysis, the Parmenides emerges as an extension of ideas from Plato's middle dialogues and as an opening to the later dialogues. Scolnicov’s analysis is crisp and lucid, offering a persuasive approach to a complicated dialogue. This translation follows the Greek closely, and the commentary affords the Greekless reader a clear understanding of how Scolnicov’s interpretation emerges from the text. This volume will provide a valuable introduction and framework for understanding a dialogue that continues to generate lively discussion today. Samuel Scolnicov is Associate Professor of Philosophy at The Hebrew University of Jerusalem and author of Plato's Metaphysics of Education (1988).